It's Snowflake's 3rd Anniversary this month of September and SNOWFLAKE is giving back to their loyal fans for sticking with them on their journey thus far! 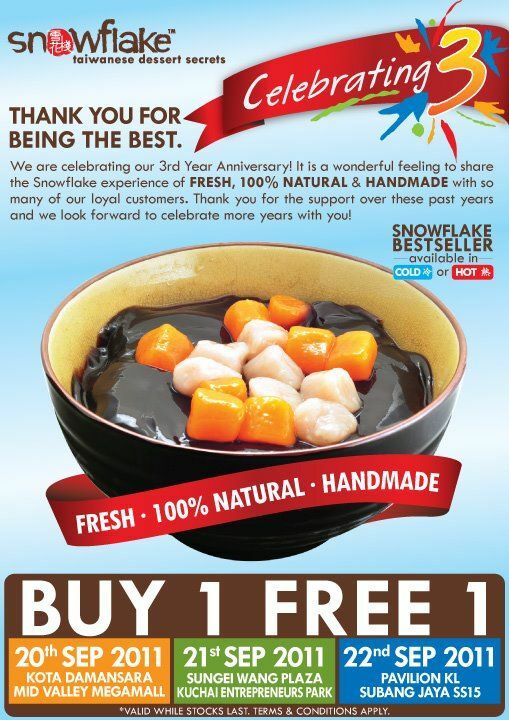 For 3 days at different locations, SNOWFLAKE will be offering a Buy 1 Free 1 promotion for their fan favorite Bestseller! There will be many more 3rd Anniversary goodies/promotions coming your way so do visit this page from time to time!